Little Life of L: All bran 5 day challenge. 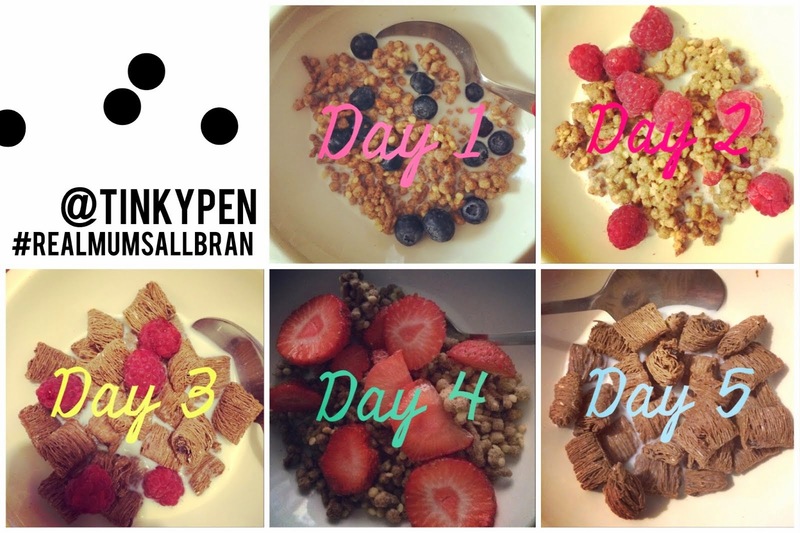 All bran 5 day challenge. Breakfast. Most important meal of the day they say. I say the meal I'm usually eating while standing up in the kitchen and supervising / tidying around baby. But there is one thing I LOVE for breakfast. I'm a big ceral fan. I love it. And will quite happily eat as a snack. Needs to be served with ice cold milk though. Cannot stand room temp milk. I also love to top mine with fresh fruit. Whatever we have really but the favourites being blueberries, strawberries or bananas. All bran and britmums sent me out these fantastic new cerals and challenged a bunch of us mums to switch to having their new all bran cerals and see if we notice the change. Yes. Is the short answer. I've suffered with ibs since having M. Your whole internal body system goes crazy when you have kids. That part seems to be one that never really settled down. I did find that by having this full of healthy stuff breakfast did help me feel less bloated, less lethargic in the morning and more full than normal cereal. Having a happy tummy does make you feel more ready to face the day. It felt good being able to mix up the flavours and try something new. I would be picking them up again. The only thing was they are more pricey than other cereals but they did taste good, plus added bonus made me and my tummy feel better! Worth it I say. Disclaimer: I was sent 3 boxes of All-Bran for the purpose of this review, however, all words and opinions expressed are my own and have not been influenced in any way.